America’s favorite supercar just got an entirely new look, and the iconic Stingray name demonstrates just how significant this new breed really is. Years ago, Zora Duntov didn’t have much competition for his Bow Tie Barnstormer. But today’s Global Economy has spawned a litany of competitors, all vying for dominance over America’s…very plastic…supercar. In order to succeed, today’s Corvette has to push the boundaries of what’s possible. That’s why so many performance methodologies were used on the new C7. To provide more high-speed stability, wind is channeled through front of the car, exiting behind the wheel arch in the front fender. Another air scoop atop the rear fender, funnels air through the transmission cooler, then out the rear to create even more asphalt adhesion. 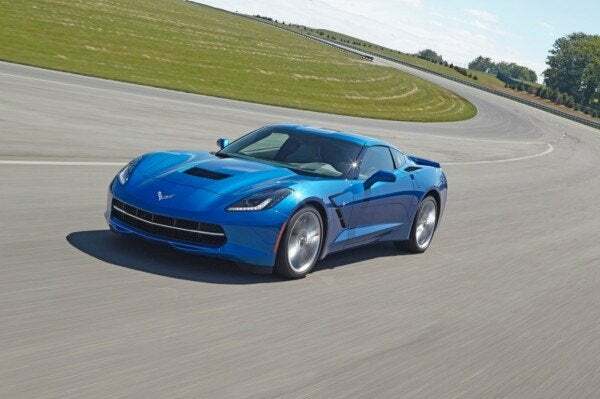 With 450 horsepower on tap, the ‘standard’ 2014 Chevy Corvette Stingray now makes more power than the old C6 Z06. 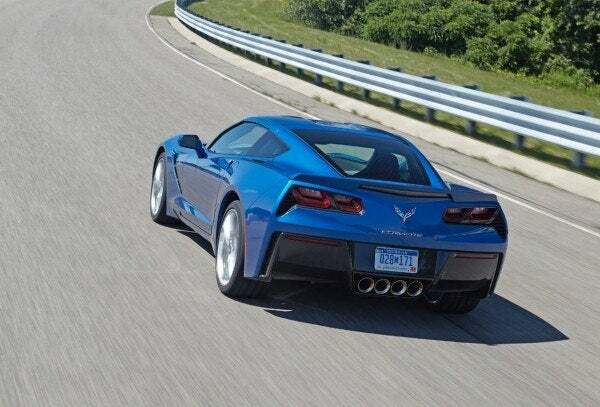 So the 460 hp, created by the latest hi-po Vette doesn’t seem all that impressive at first glance. But you’ve got to consider all of the ingredients in the $2,800 Z51 package before you can decide if the 10 extra ponies are going to be enough. So what’s that Z51 thingy get me? These are impressive numbers, and they place America’s supercar in a new league of international performers. Cars like the Audi R8, Ford Mustang Shelby GT500, and SRT Viper can hustle themselves to 60 mph in roughly the same time. 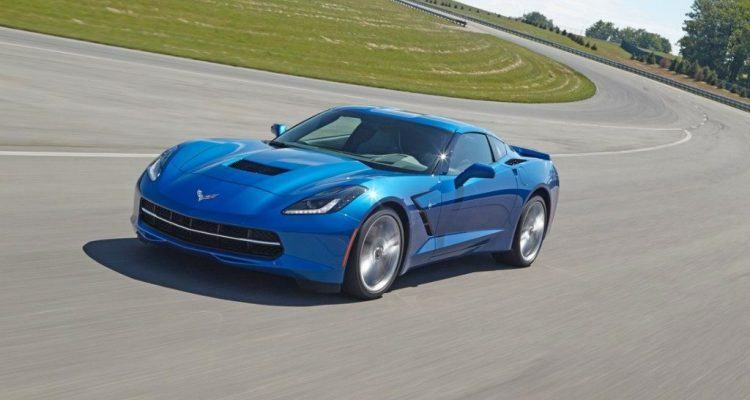 And the interior of the 2014 Chevrolet Corvette Stingray is awash in premium materials, helping it appeal to more than just Corvette loyalists…and connoisseurs of fine plastics. 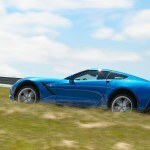 To help the new C7 achieve such heroic cornering G’s, Chevy employed a number of high-dollar tricks. The frame for example, is made from lightweight aluminum, the hood and roof are made from carbon fiber, and a new carbon-nano composite material is used to form the underbody panels. There’s also a $1,700 active suspension (Magnetic Ride Control) option, that comes with Performance Traction Management software to instantly improve the ride or handling, based on the position of the Drive Mode knob. The new C7 is certainly the most technologically advanced Vette ever to leave the factory in Bowling Green. 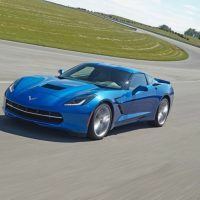 However, Chevy hasn’t abandoned the Corvette’s white-knuckle roots entirely. While most supercar makers may have ditched the manual transmission, Chevy’s hair-substitute is still available with a row-it-yourself gearbox. Fitted as standard equipment, the new Tremec 7-speed manual offers rev-matching for both upshifts and downshifts. Plus, it won’t interfere with the C7’s cylinder deactivation function either. But who cares about gas mileage when the 2014 Chevrolet Corvette Stingray can lap the Virginia International Raceway in just 2:51! 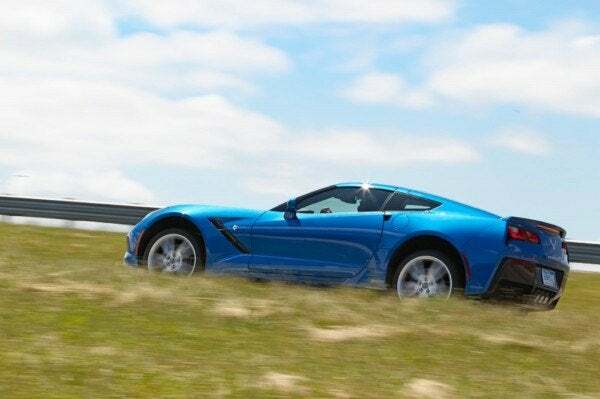 1 Comment on "OMG: 2014 Corvette Stingray Z51 Performance Specs Released"
I think when people write articles like this they need to put things in perspective. OMG in the title is little ridiculous. I mean, 3.8seconds is fast no doubt but TONS of cars can do it with only minor modifications at this point let alone stock. Some are even cheaper. The track time is where this car needs to prove itself. 0-60 and 1/4 mile times are meh when anyone can buy a bolt on super charger fully installed for less than 10K (on a 2007) Vette and push mid 11’s in a 1/4 mile. FWIW a Camaro ZL1 will pull low 12s (.1 or .2) before any mods for slightly less money.